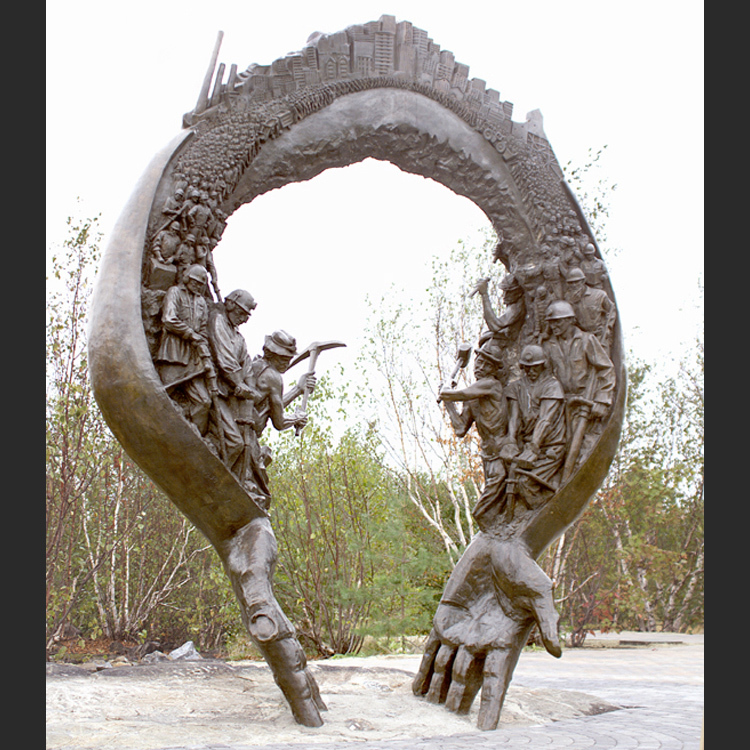 Situated in Bell Park overlooking the bay in the mining capital of Canada, Sudbury, Ontario, one of the largest exporters of nickel stands this impressive monument towering over fifteen feet tall that celebrates the history of mining. 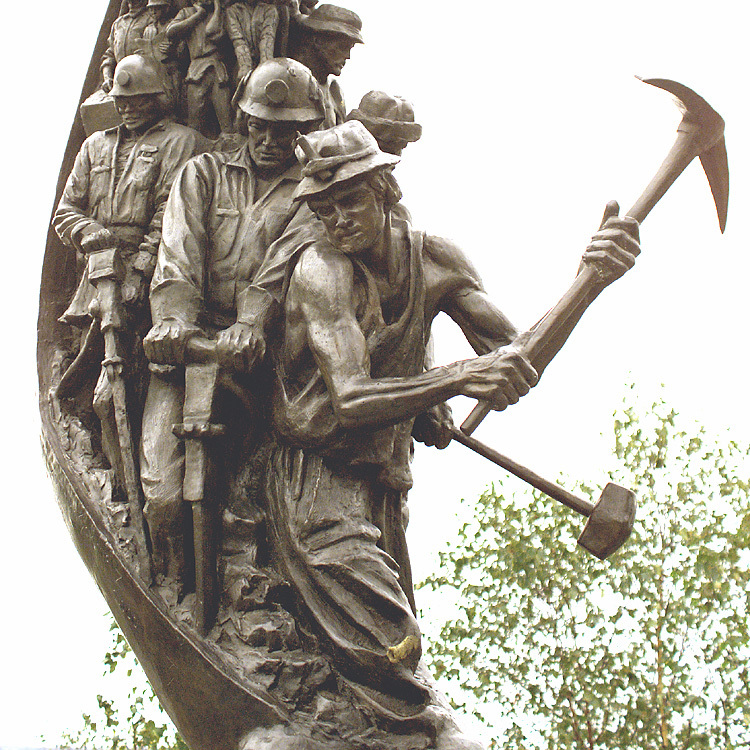 This sculpture is a tribute to miners from the first prospector and bare-chested old timer with their picks and axes up to modern day miners with sophisticated equipment . 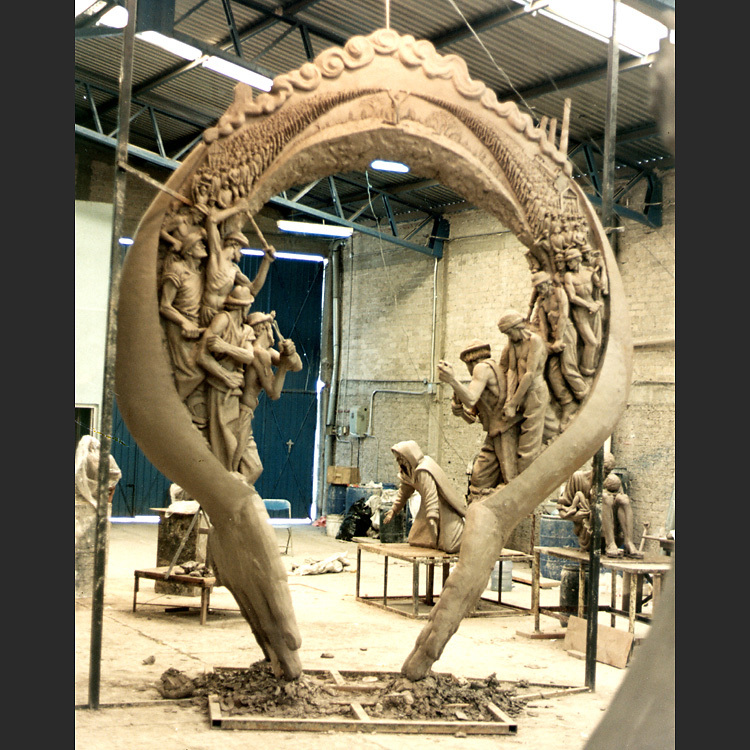 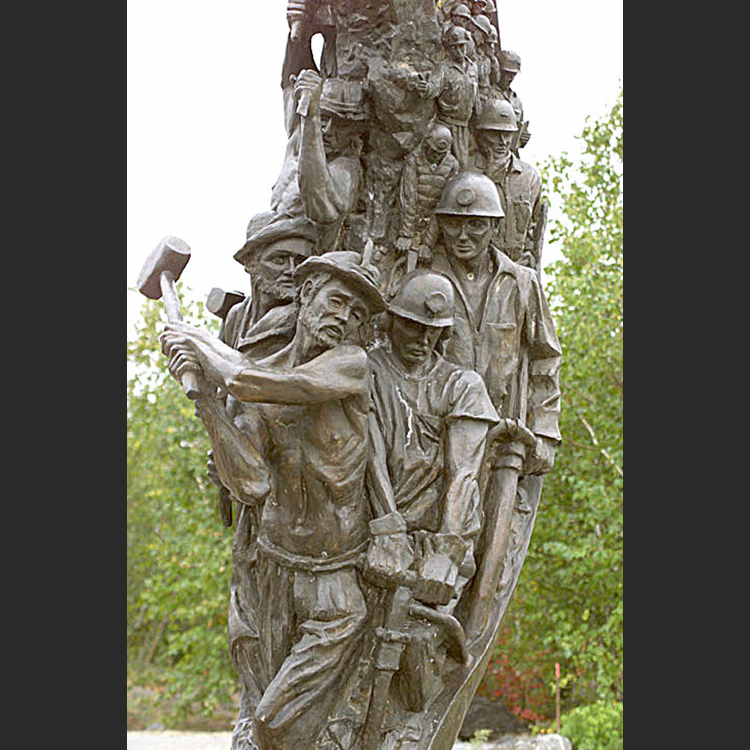 This sculpture is two sided with the back representing the past with the bottom two historic minders looking forward to the front of the monument that depicts the present and future of mining. 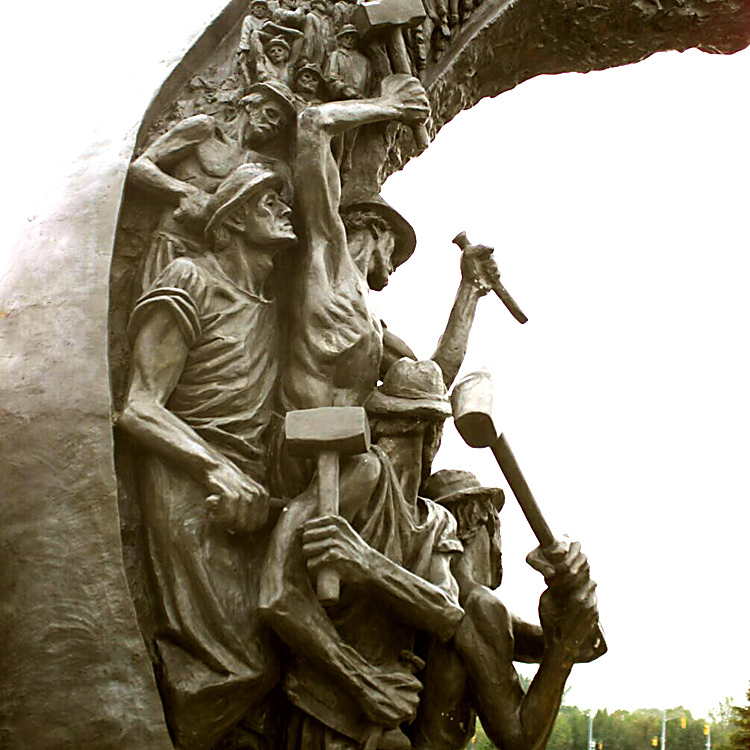 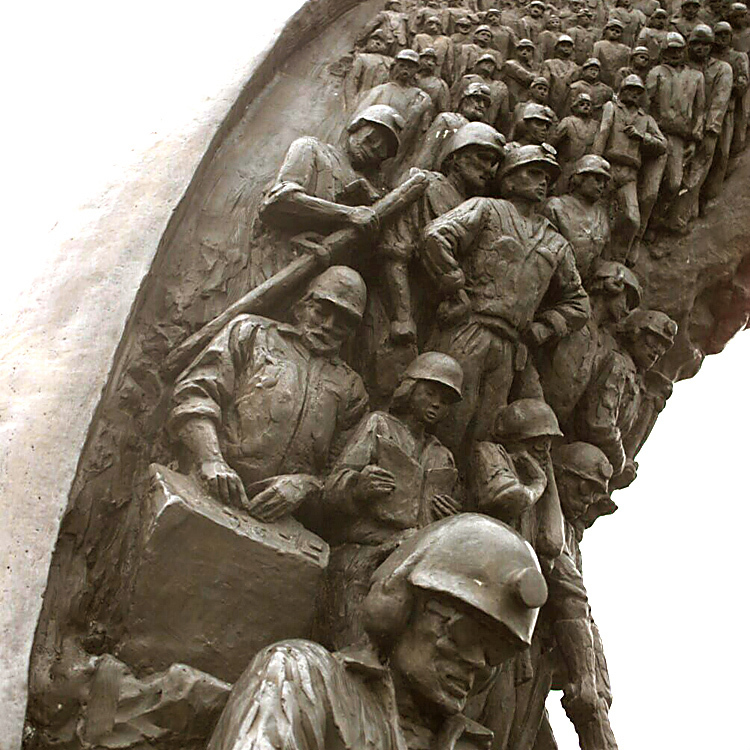 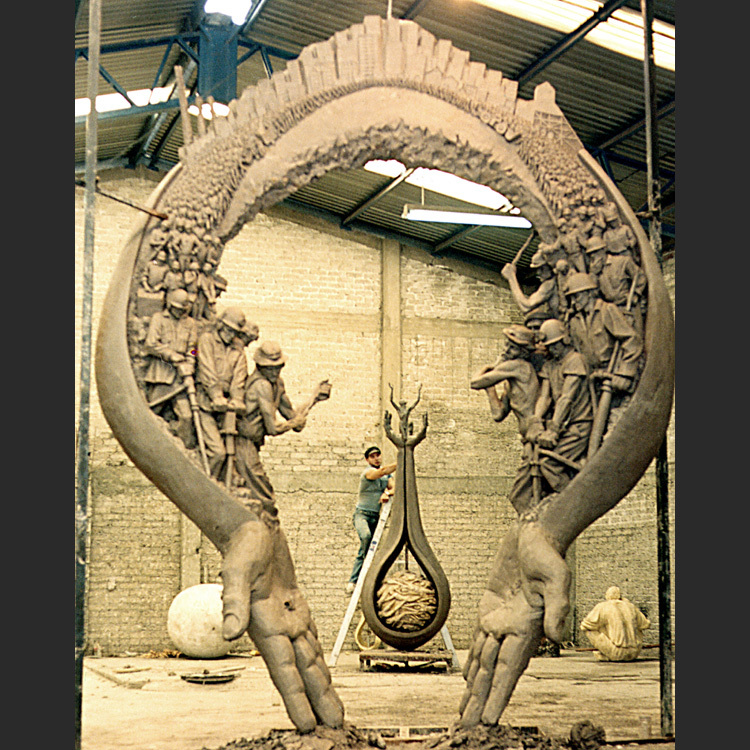 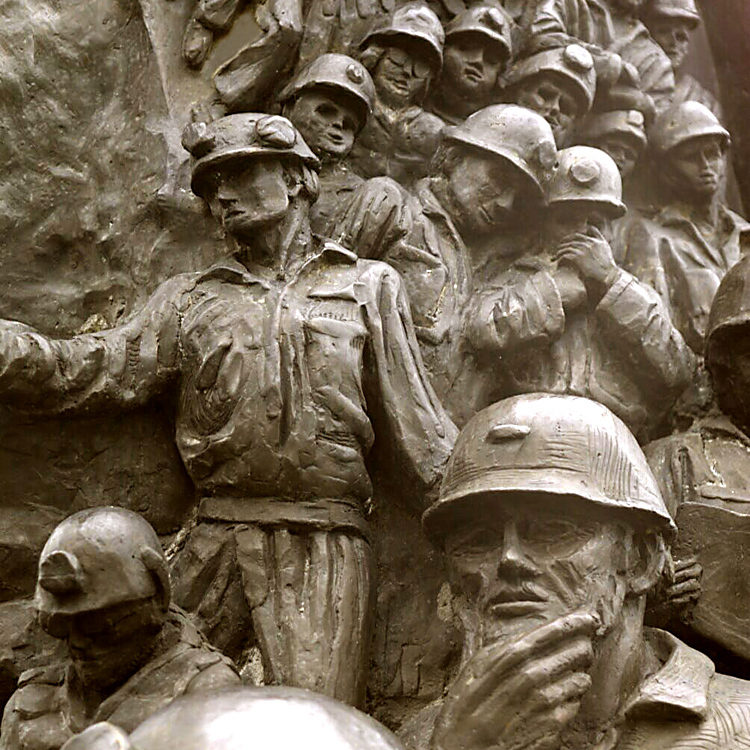 literally hundreds of miners descend on both sides of the sculpture and their collective work merges into two giant hands extracting what lies beneath the Earth’s surface.